Arunachal Pradesh Home Parliamentary Secretary Pani Taram on 29 may said that search operations have been intensified on the ground to locate missing crew members of the Sukhoi-30 fighter jet. The Su-30 MKI jet on a routine training sortie went missing since on 23 may last. Director General of Police Sandeep Goel told ANI that though the wreckage including black box was recovered on 26 may morning but the fate of the crew was still not known for which the forces deployed in West Kameng district were asked to double up their efforts. Pointing out that the state police had deployed its forces in search operations since the news of broke, IGP Navin Payeng said the wreckage was found inside a thick forest in West Kameng district of Arunachal Pradesh, 60 km from Tezpur. DIG Tusar Taba also confirmed intensive search operations, saying the senior officers have been constantly monitoring. The Su-30 MKI jet, with two pilots on board, had gone missing on 23 may shortly after taking off from the Tezpur Salonibari Air Force station on a routine training sortie. The aircraft had lost radar and radio contact near the China border 40 minutes after its take-off and declared "overdue" and a search and rescue operation was launched on 23 may afternoon to locate the aircraft and the pilots, according to the Defence PRO. 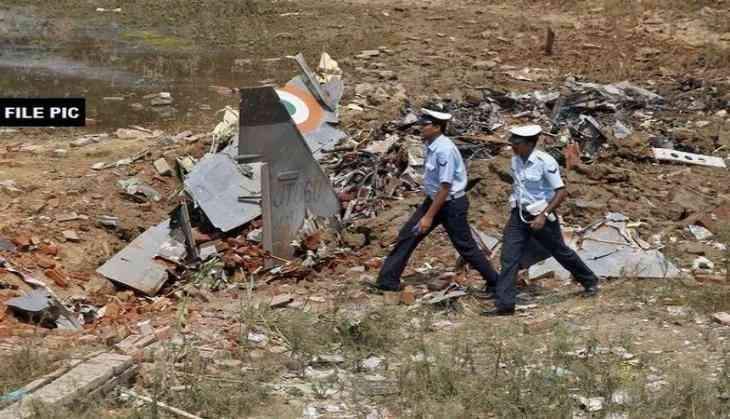 "Aerial search was carried out in a massive way around the last-known position of the aircraft, but incessant rain and dense clouds seriously hampered the search operations in air and ground as well," he had said, adding an IAF had ordered a court of inquiry on 26 may to probe the cause of the accident. That is why very often than not the these jets on routine practice fly over the state capital sky with their veering sound heard almost regularly. It may be recalled that Su-30 MKI jet, piloted by Arunachalee group captain Mohanta Panging had performed fly-past over Itanagar sky on Arunachal Pradesh statehood Day on February 20, 2012 with then defence minister A. K. Antony as chief guest.